Multiplayer zombie game H1Z1's launch weekend has been filled with problems. 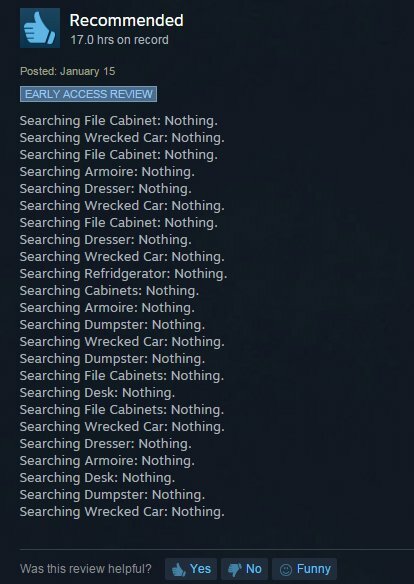 On the bright side, is that players have used this frustration to write some fantastic reviews of the game on Steam. 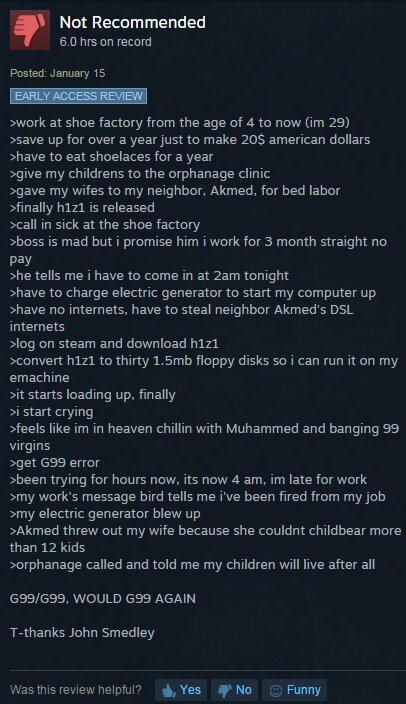 This is unfortunately a common occurrence with Steam Early Access games. Players flock to them based on the premise and early trailers, but get frustrated due to the bugs or missing features. The game generally improves over time but in cases where the developer's too slow or takes the game in an undesirable direction, players can't get refunds. I can only remember one situation where Valve gave customers their money back and that was only because they decided the developer had misled consumers in their marketing. To Sony Online Entertainment's credit, they're giving no-questions-asked refunds to many early buyers of the game. I think a lot of players, however, would rather that the game live up to their initial expectations. 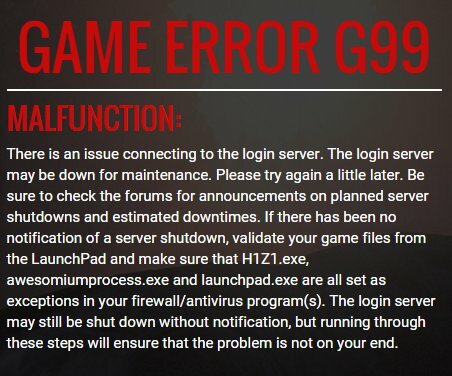 Maybe SOE will be able to polish up the game and in time deliver the zombie survival experience players are hoping for. 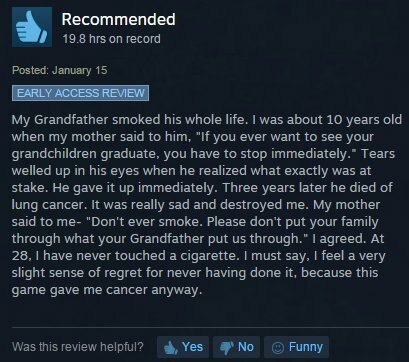 Until, then, at least we have the Steam reviews.